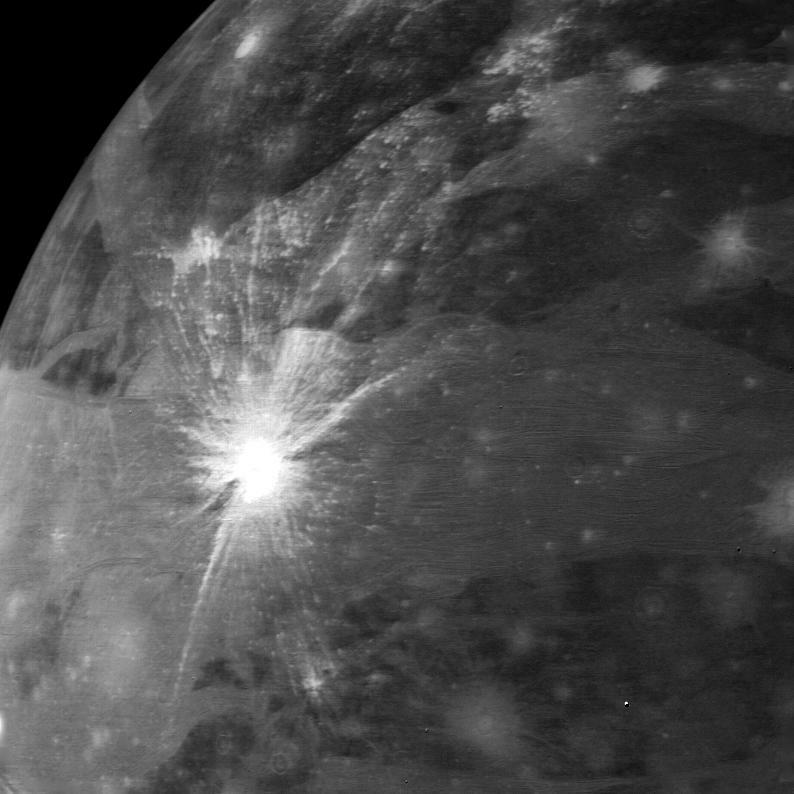 This view of Ganymede was taken on the afternoon of March 5 from a range of 267,000 kilometers (167,000 miles). 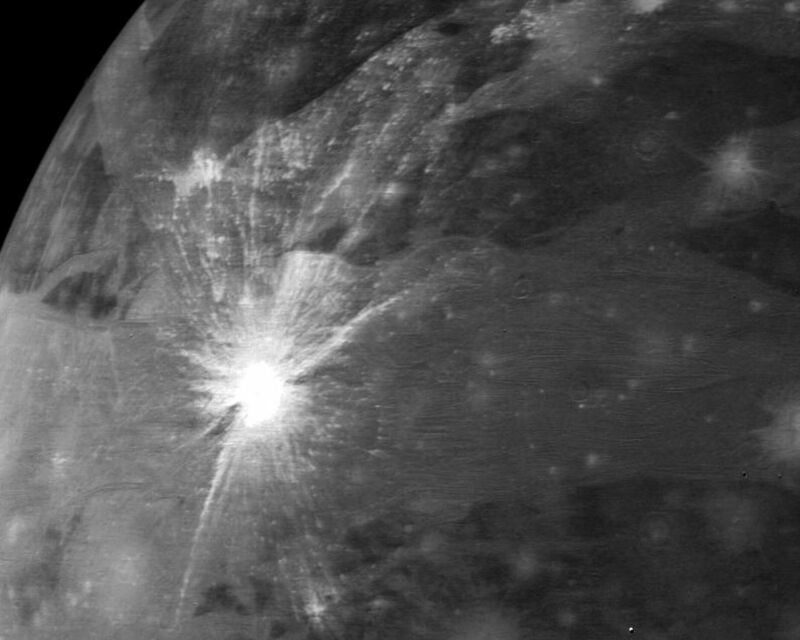 A bright rayed impact crater is prominent on the left side of the frame. 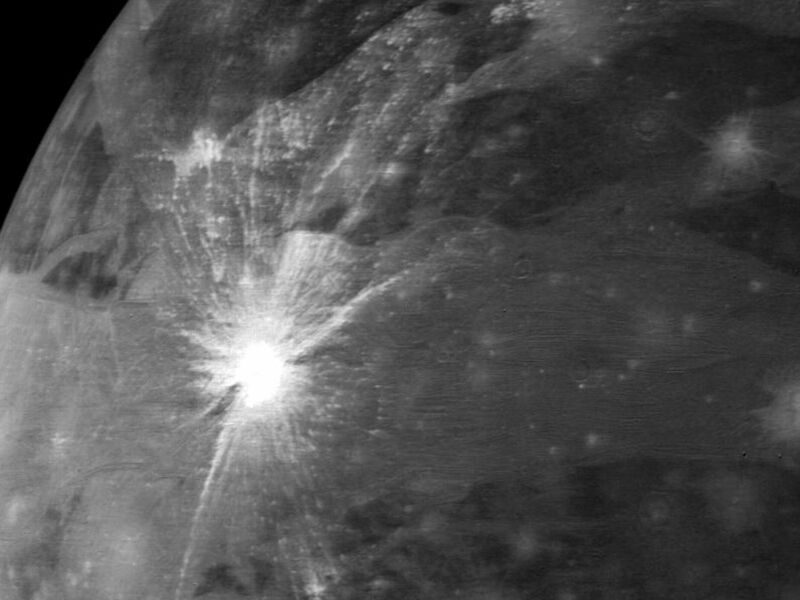 The ejecta material extends for a thousand kilometers (600 miles). The rays are on top and therefore are younger than the brighter ridged and grooved terrain crossing the picture. These features may be breaks in the surface caused by faulting. 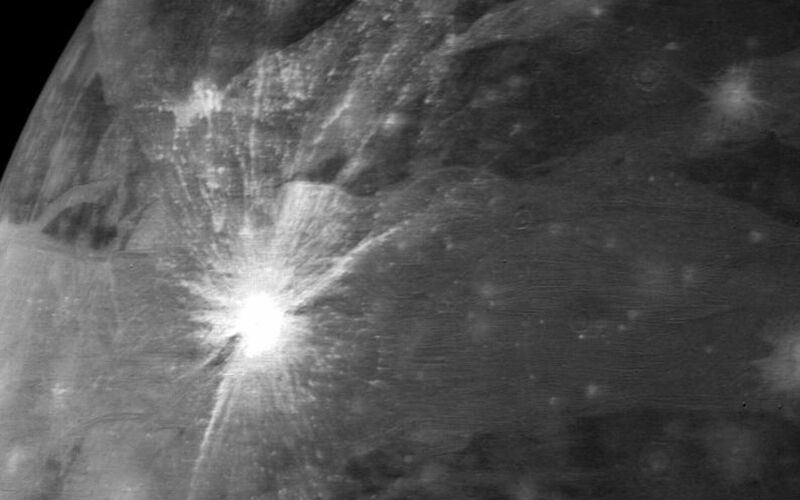 Many older craters are visible that have lost their rays. JPL manages and controls the Voyager Project for NASA's Office of Space Science.